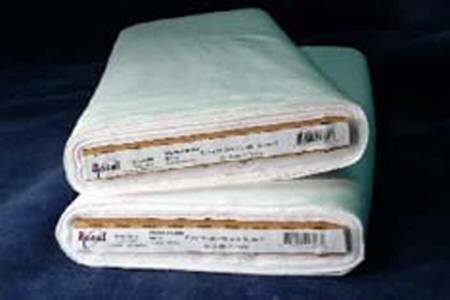 Embroidery stabilizer for use on high loft/pile fabrics designed to prevent stitches from being buried in high loft fabrics. Supports moderate thread count designs. Once washed, polyester remains to support threads. Great for art quilts, lace and thread play.